Pricing for all classes unless otherwise stated: drop-in fee $10, students $5. Participants who are members of RSCDS through another affiliated branch may purchase a ‘classes-only’ membership for $40. Annual Branch Membership includes the ability to attend any and all branch classes. Where: St. Thomas’ Church on the corner of South College and West Park Place, Newark, DE. 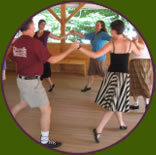 Other information: The first part of the evening is for new dancers. In accordance with the wishes of the church, there is no class fee, but money is collected at Socials for the church’s expenses. Where: Crosslands Retirement Community, in the Sports Room downstairs. Other information: This class is oriented towards teaching college students, but welcomes experienced Scottish dancers from the community. If you are not a college student, please consult with the teacher before attending. Other information: This class is oriented towards teaching college students, but welcomes experienced Scottish dancers from the community. If you are not a college student, please consult teacher before attending. If you are interested in Ladies’ Step dancing or Highland dancing, there are occasional classes and unofficial sessions. Contact Kate Nealley inveraritypa@yahoo.com for Ladies’ Step or Kathy Giacoletti kedgiacol@alum.swarthmore.edu for Highland. 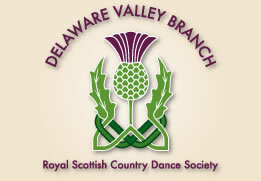 If you are interested in a children’s class please send a message to our email address delvalrscds@gmail.com.